Raise your hand if you still have a few extra dinner rolls and some bright and tart cranberry sauce from the Big Day? Then you have most certainly come to the right place. I love homemade cranberry sauce, and eat it with gusto on Turkey day, BUT, somehow I always end up with a hefty Tupperware container of extra sauce and there are so many delicious ways you can use it. 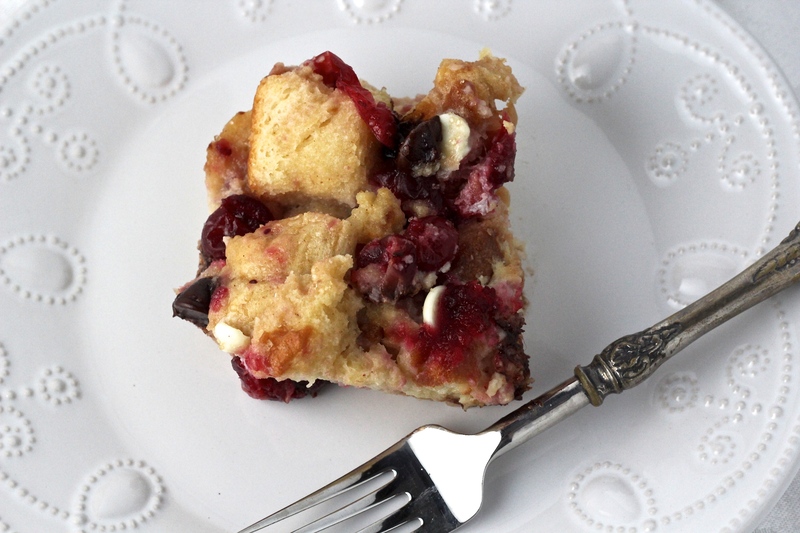 One doozy of a way to elevate this already bangin’ sauce and to finally use up those going stale dinner rolls is to make a dark chocolate and cranberry sauced bread pudding. There is nothing left-over feeling about this boozy and blinged out dessert and nothing will be going to waste in your kitchen. Categories: Chocolate, Christmas, Other Desserts, Thanksgiving | Tags: Christmas bread pudding, cranberry bread pudding, cranberry sauce bread pudding, holiday bread pudding, left-over cranberry sauce recipe, left-over dinner rolls recipe, left-overs from Thanksgiving recipes, what to do with stale rolls | Permalink. Hi Folks, I haven’t disappeared off the face of the earth. Life has happened, and I am treading water for the moment, but here is a re-run of my all-time most popular post, and it’s rather appropriate for serving at this time of year. After re-reading this post, I decided I had better roast a turkey breast today and follow some of my own advice for picking oneself out of a slump. Take care and I hope you are well. Enjoy some turkey! Where is your happy place? What is the one thing in the world that can pick you up out of a slump and place you on solid ground? It’s important that you know yours and that you can summon it up on any given day when life is more than a little topsy turvy. There are too many moments that can throw you for a loop so please, if there is one take away from this post, research your happy place and know how to reach it at a moment’s notice. It is essential. 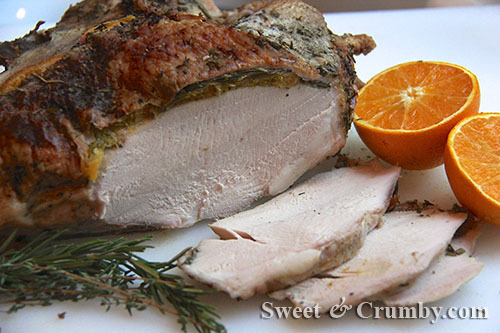 Categories: Main Dishes, Thanksgiving | Tags: half roasted turkey breast, herb paste, how to roast a turkey breast, roasted turkey, roasted turkey breast, simple thanksgiving ideas | Permalink. I know, if you have read my last post, then you may be wondering, “Just how much leftover cranberry sauce does this girl have?” and “Why?”. 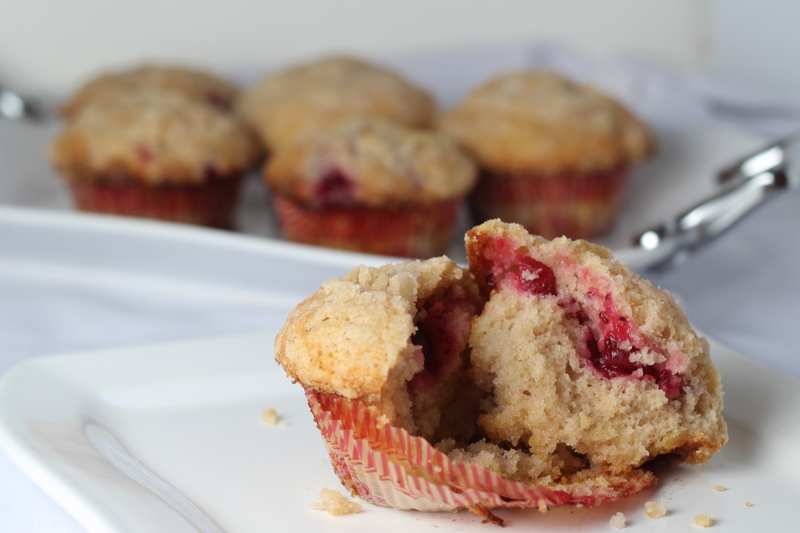 But truth be told my Left-Over Cranberry Sauce Muffins’ post was last year’s after Thanksgiving post and this year I happen to have a new leftover cranberry sauce recipe and it is a doozy. I hate to be alone in the mornings. It’s boring. When I was a little girl, and wanted my brother to wake up and get crackin’ so that we could play a game or watch Saturday cartoons together, I would throw a couple of dog biscuits onto his bed and our two Cocker Spaniels would jump on top of him and run all over the bed looking for the treats. When he would emerge from his room, I would be sitting on the couch, pretending to look uninterested in his arrival, and I would try not to smile. Unfortunately, I have the worst Poker face known to man. The worst. Categories: Bread, Thanksgiving | Tags: brandied cranberry sauce, cranberry muffins, cranberry sauce muffins, left-over cranberry sauce, leftover cranberry sauce, streusel muffins, Thanksgiving leftovers | Permalink. I’ve decided not to reinvent the wheel and just show you what Sweet and Crumby has got for the upcoming big holiday. I hope this list gives you inspiration for your Thanksgiving menu. 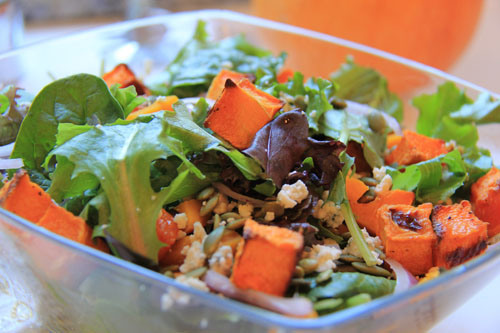 This Maple Roasted Pumpkin Salad would be a tantalizing and bright way to start off your holiday meal. Add some dried cranberries or make a cranberry vinaigrette to give it that extra festive flare. 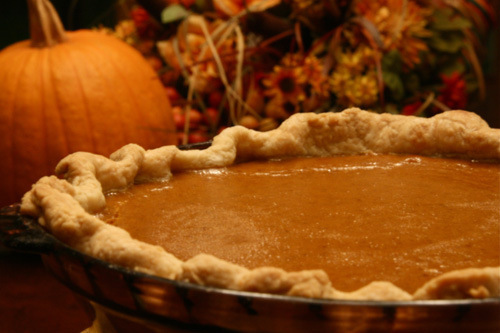 Categories: Bread, Cakes, Main Dishes, Pie, Side Dishes, Thanksgiving, Uncategorized | Tags: chocolate cranberry cake, cranberry cake, pumpkin pie, pumpkin salad, roasted breast of turkey, sweet potato biscuits, thanksgiving dinner, Thanksgiving meal | Permalink. I am so very grateful. My family is healthy, I live in a country where I have a multitude of freedoms, and I, and those that I love, are safe, well fed, have a roof over our heads and have little to truly worry about. My hope would be that people everywhere could experience these things and as tomorrow approaches, I do know how very lucky I am and have so much to be thankful for. Here are some recipes from posts past that might fit the bill for tomorrow. Categories: Thanksgiving | Tags: brie and apple appetizer, cranberry cake, cranberry chocolate cake, cranberry coffee cake, cranberry devil's food cake, pumpkin pie, thanksgiving desserts | Permalink.